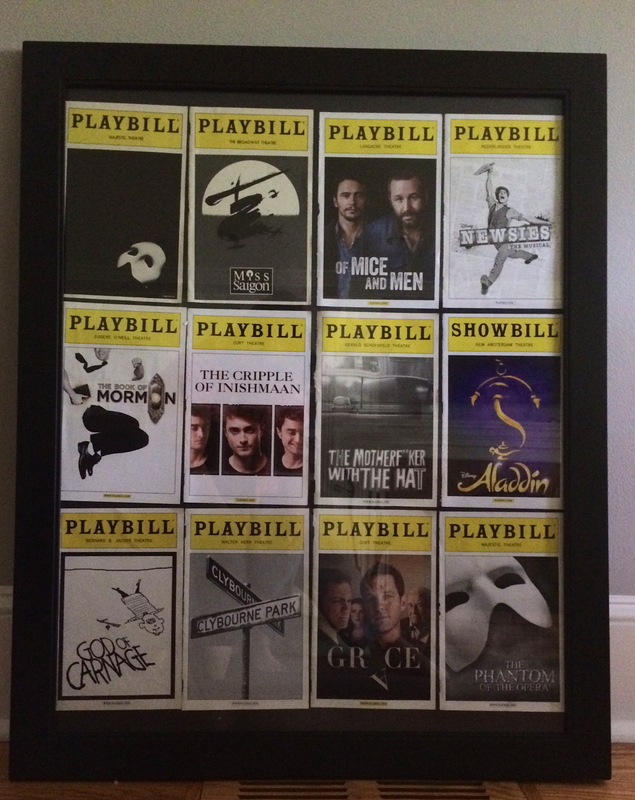 For years I have been thinking about how to display tickets and Playbill covers from the shows we have seen over the years. I made one recently for the tickets, much like the one I made a while back for the movie tickets. I’m pretty pleased with the way these turned out. And afterward, I went to the boards and found that I’m not the first one to think of something like this. Check the search results for yourself. What size frame and posterboard did you use? It’s a standard size large poster board. 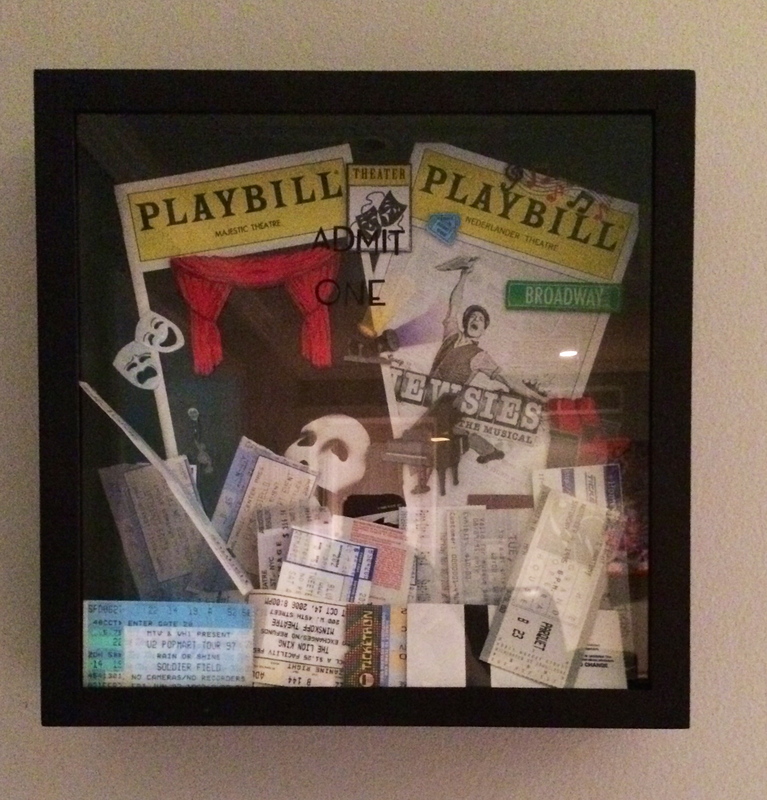 The frame is 22″x 28″.